Lord Vishnu is the only God whose image can be made in the reclining pose. 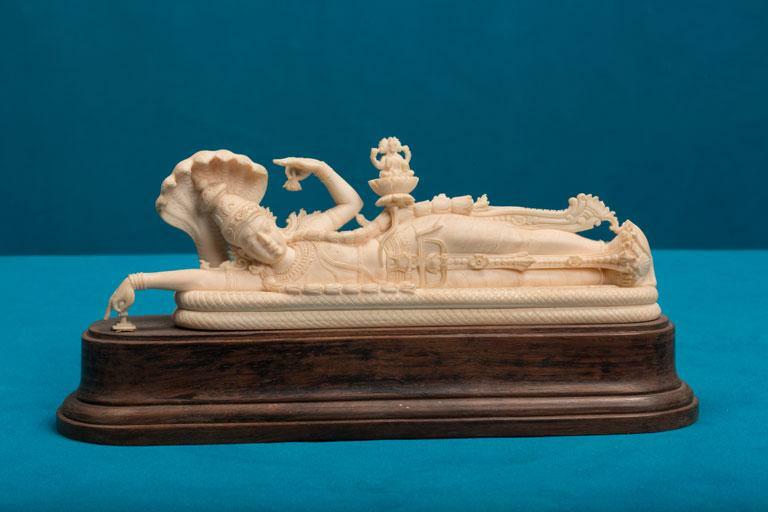 Here Lord Vishnu is seen lying on a bed formed by his serpent ‘Shesha’. In the image we can see that the chest and the shoulders are raised a bit but the rest of the body lies flat with one leg fully outstretched. Above the reclining figure Lord Brahma is seen seated on a lotus that issues from the navel of Lord Vishnu.